If Jio SIM in your device says ‘Not Registered on Network’, just relax. Here in this tutorial, I have provided the complete guide to fixing the issue. Reliance Industries came up with a bang in the telecom sector giving a sheer setback to its peers. The offers, plans and freebies offered by the Jio can get you Goosebumps. Continue reading the post to fix the issue of Jio SIM on your Android Device. Flight mode is the best choice when you wish to have a mini SIM switch off. When you turn ON the flight mode, the device performs a mini switch OFF cutting the SIM cards from power and then after few seconds when you turn OFF the flight mode device will recognise the SIM networks and hence will show the network. To do so simply open settings and look for the option called SIM Cards or SIM Management or Edit SIM etc. Here under mobile data/internet select Jio network (set preferred network as LTE/4G). You will see a full Jio signal. Check for the option called Network Mode or Preferred network type and click it. Watch Video for more information on APN settings. Conclusion: Check the SIM card for other devices. If after doing everything it doesn’t work for your smartphone then you need to perform a soft reset of your device. If you've any thoughts on How to Fix Jio SIM ‘Not Registered on Network’?, then feel free to drop in below comment box. 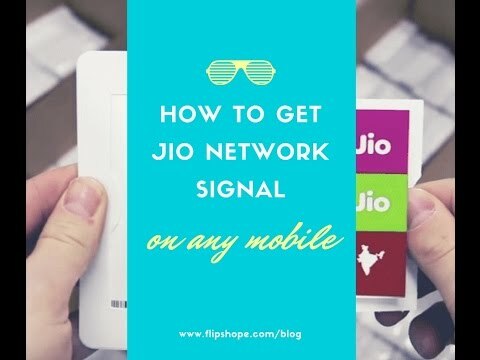 Home » Mobiles » How to Fix Jio SIM ‘Not Registered on Network’?